William Branham said that in 1933 he was given seven prophecies. On of them was that "cars would keep getting more like an egg, until the last days they'd be just in the shape of an egg." 1 Video Feature - Egg-shaped Cars? 2 The prophecy was "after the fact"
Video Feature - Egg-shaped Cars? 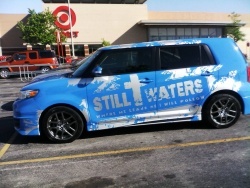 The prophecy was "after the fact"
The first time that he mentions this prophecy is in 1953 and, later, William Branham states that the Volkswagen Beetle was a fulfillment of his prophecy. The Porsche Type 12 or "Auto für Jedermann" (car for everybody) was a German automobile project produced in 1931. The Type 12 was designed by Ferdinand Porsche for Zündapp. 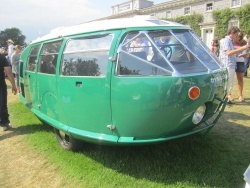 It featured the rounded, "egg-shaped" styling then in vogue, typified by the Schlörwagen, Tatra V570, Chrysler Airflow, and Volkswagen Beetle). 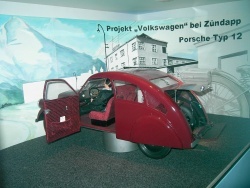 The Type 12 served as one step in the development of the VW Bug. The Volkswagen Beetle (officially the Volkswagen Type 1 and informally referred to as the Volkswagen Bug), is a two-door, four passenger, rear-engined economy car manufactured and marketed by German automaker Volkswagen from 1938 until 2003. One of the exhibits in in the 1933 World's Fair was an egg-shaped vehicle - the first prototype of the Dymaxion - which made test runs at the Fair, and was involved in an accident that killed the driver and seriously injured two passengers. The canvas top of the vehicle did not offer sufficient protection against impact, and the single rear wheel did not offer enough stability. After its accident, the investors abandoned the project. This form is approximately that of an egg, though the small end of the drop tapers more sharply to a conical point. In falling, the larger and blunt end of the drop is foremost. This is the shape that creates the least turbulence"
"It is my prediction that within the next two or three years some farseeing manufacturer will again turn his attention to making his machine go, that this time his design will be the result of what has been learned in this motorized-buggy era. This means that he will start afresh and that his objective will be the ultimate form of the future motor car. This car will look very different from those you seen on the road to-day but not very different from Car Number 8 as illustrated here." If William Branham thought that the VW Bug fulfilled the prophecy, then the 1931 Tatra V570 and the 1931 Porsche Type 12 fulfilled the prophecy before it was made. This truly was an "after the fact" prophecy"
In 1953, Branham started claiming to have had a vision describing this shape of a car. Also, during sermons, Branham claimed that the shape had become common — reminding listeners of how the early automobiles were designed. His original intent was to describe a prophecy that listeners would see as already fulfilled. Over time, this motive changed. As technology increased, and automobiles no longer styled themselves like the VW Bug, Branham added additional details to this prophecy. From rounded glass tops to self-guidance systems, this prophecy of a car shaped like an egg began to take other forms pointing to future innovation. For details of this, see our article on Driverless Cars. Again, Branham claimed that his vision had been fulfilled. This time, however, it was fulfilled by the driverless car. That same car was on exhibit in the 1962 World's Fair Century 21 Exposition, in Seattle, Washington. Branham toured the exhibits, and described the car as fulfillment of prophecy. Is this a fried egg? I said, "Just before that time comes, that automobiles...They'll look like an egg. They'll be shaped. That's a vision. Be something on the shape of something like that." And that's the way they'll be just before the rapture. And at that time, automobiles, just before the coming of the Lord, will be in the shape of an egg." Now, remember that; keep it in mind. See? That was in 1932, or something like that. And look how they're shaping down every year, right to it. We're nearer the end time; we are. And, you, how many can remember what a '33 car looked like back there? Oh, it kind of run out like this, and way up the back, and chopped down for the spare tire to hang on. I saw a vision, that before the coming of the Lord, that cars would look like an egg. How many remembers that prediction? Is there anybody left in here? Brother Steward's gone, and I guess. It was 1933 when we were having services over here. I guess just about all of them's gone now, since then. Picking up, the other day, an old book, up there, reading some of the things that the Lord had told, foretold, already come to pass: about this juvenile stuff, and about how the war would come out. And all those things has hit—just the two things left. And one of those great prophesies; that is, for cars to be on the road with remote control, looking like a egg, only you don't drive it; it controls itself. And then, there'll be a great woman rise up, 'cause America is a woman's nation. And it'll… A great woman will rise up and be president, or something like that in the nation, and then there will come a total annihilation, the entire nation will be wiped out. And that, I predict—now this is not the Lord saying this—the other about the woman and this, is the Lord. But I predicted in 1933 that the world would be total annihilation before '77. And in 1933 when the Lord, when we was having meetings over here where that Church of Christ is standing now, the old Masonic home, the vision of the Lord came to me up here and predicted that... And also said that cars would keep getting more like an egg, until the last days they'd be just in the shape of an egg. You remember, I predicted that in 1933. And it will be that way too. For I saw a vision before the end time, that great and powerful thing stood up in the United States, and she become as stubbles. So then, it's going to happen. I said, "Automobiles will—come like the shape of an egg." You know what a '33 car looked like. Now, I said, "Then after that time, that science would really progress." They did, they made the atomic bomb and everything. I said, "During their progression, they would make a… cars would constantly begin to shape like an egg." And you remember the big old hood on the 1933, the big back come down like this, the spare tire on the back of it? Look how it is now, see: streamlined, see, like an egg. I saw it in 1933. See, I looked off. You said, you might have said, "Well, it didn't happen then." 160 But it's going to happen! Neither was Mussolini in power, neither was the Maginot Line built, neither did the car look like an egg in them days, and the things, neither did the women elect a President that would look like a—a college boy, and all these other things, neither would there be a Catholic President, and so forth, spoke of. About thirty years ago, or more, these things were predicted, but He only showed me way off down to the end. 1933, the Holy Spirit came one morning and told me seven things that would take place before this nation was destroyed. One of them is that. It's on old paper there at the church, many has looked at it. How that we would go to war with Hitler and they'd… How Germany would fortify and build a Maginot Line, or the Siegfried Line, I believe it was, eleven years before it was ever thought of. 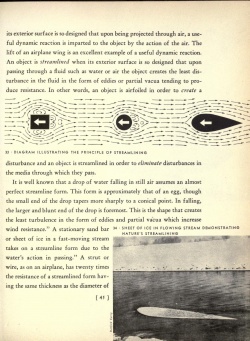 And how that automobiles would constantly shape like eggs. In my book in there, that I keep wrote down: In 1933, one morning, fixing to go to Sunday school, a Baptist Sunday school where I was pastor, the Holy Spirit come and showed me down to the end time, and showed me seven things that would happen. I marked them down. It's on old yellow paper... I said, "Such progress will take place!" I said, "I see automobiles looking like an egg, going down the street. There is cars go down the highways, with some kind of a control, they don't have to guide it. I seen an American family playing checker in the back of a car." They've got the car right now, if they just had the highways to put it on. The little Volkswagen is a perfect egg, just exactly, and it's all the other cars. Could you imagine, in 1933, what the cars looked like, to now? Look at 1933, how it say the women would act in this last days. How it said the people… How Mussolini, how he'd come to his end. How Hitler would come to a mysterious end. How that the three ism would come in communism. How that the machines would come, looking like an egg. The Lord's Word is perfectly accurate. That was in 1933. That would be… Let's see, what would that be? Thirty-two years ago, wouldn't it? This is '64. Yeah, thirty… Yeah, thirty-one years ago. Thirty-one years ago the Lord told me that, and here it is. And the company's here that's already ordered them; and the—and trucking companies and things are getting trucks made like them. They can control it right from their headquarters like that, don't even have to have a driver in it. And here it is all already made, and there it is with the cars. Now, it's on the bulletin board in the back, and you can read the prophecy and just see how accurate our God is, how His Word… He said, "Heavens and earth will pass away, but My Word shall never fail." Just look, thirty-three years ago. You know what a—what a 1931, or whatever it was, model car would look like; it'd look like a relic. And It said, "It'll look just like an egg, become like an egg. Of course, there's nobody here, I guess, that's a-living today or among us that heard me say that. ↑ 58-0927, Why Are We Not A Denomination? This page was last edited on 20 April 2019, at 01:17.